A blog writing service can increase social shares. Posting on social media is an important element to help you effectively reach your target audience. However, there are other ways to utilize social media to your advantage. For instance, your blog writing service can include social media sharing buttons on your blog so your readers can share your valuable blog posts with their own family and friends. In addition to the compelling posts your blog content writer creates, there are other things you can do to increase the number of shares. When your blog content writer creates and posts your blog posts, some people may comment directly on your blog, while others may comment directly on social media sites. When you fully integrate your blog with social media comments, the right tools can monitor social media sites for mentions and automatically add those comments to your blog as well, showing other readers who are talking about your content. Social sharing buttons are designed to make it easier for people to share information with their family and friends. If you don’t already have these buttons integrated into your blog, talk to your blog writing service. They can help you decide which ones to add and where to add them on the page to increase the number of shares your blog posts receive. Internet users are more likely to do what you want when you offer them something valuable in return. For instance, you can encourage your readers to share your latest blog posts by offering something they want in return. If you have a content piece that has generated a lot of traffic, consider blocking it from view and only allowing your readers to access it if they share the content. However, you can’t lock the entire post. Make sure they can see a compelling, interesting piece, such as the introduction, to entice them to share. 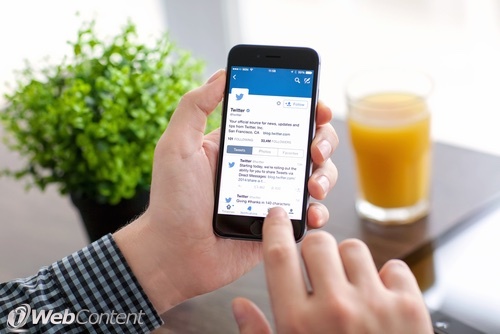 Creating Tweets ahead of time can be a great way to promote your posts and encourage others to share your content. To ensure they are more likely to share your posts about your blog, create posts with a valuable takeaway. Without this value, your readers may simply read for themselves and decide against sharing it with anyone else. Giveaways are a great way to encourage your readers to do what you want. Just like you may use a contest to encourage people to like your social media pages, promising the chance to win free products or services can be enough to entice them to click the share button. The more people who spread the word about your giveaway, the further you will reach. If you are connected with another business or industry blogger, consider doing a joint giveaway to further expand your reach and encourage more readers to share. Industry experts can be a valuable asset to your blog content writer. They can include links and quotes within your content to show your readers that you are a leader in your field. In addition to industry experts, quoting and linking to other bloggers who have a larger following can also offer you the advantage you are seeking. When you include information from other industry leaders, you give yourself more credibility and increase the chances of social shares. Images are necessary in today’s world of online marketing. When your blog writing service creates your content, they should include relevant images. Many Internet users are less interested in reading content than they are in viewing pictures and watching videos. As long as you include relevant, attention-drawing pictures with your blog posts, you will improve the number of social shares each post generates. Social sharing is an important way to spread the word about your business and your blog. When you work with a blog content writer from a blog writing service, you can create compelling content that attracts readers and encourages them to share the information with others. The easier you make it for your readers to notice and hit the social sharing button, the more shares you will generate, allowing you to reach more people. If you want to increase the number of social shares your blog content generates, contact us. We can help you create compelling content that attracts your target audience. Is It Time to Invest in a Blog Writing Service?